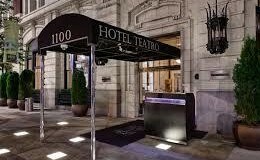 As Denver’s original boutique hotel, Hotel Teatro will provide you with a newly renovated, modern experience juxtaposed with the historic setting of the 20th century Renaissance Revival building in which it is housed. Enjoy the suite life at the SpringHill Suites Denver Downtown. It is located in Denver’s LoDo neighborhood, steps from the Pepsi Center & Union Station, and is first LEED Gold® hotel in Denver. Room prices are between $130-$160 per night. The Curtis is more than just a downtown Denver hotel – it’s an experience. They are right across the street from the Denver Performing Arts Complex and just two short blocks from the 16th Street Mall, putting Denver’s best shopping, entertainment and attractions just steps away.